Jiminy Christmas it’s December 23! The semester is over (huzzah). Finally, I can stop being so ornery all the time, and what better way to cure the scrooges than with some great Christmas movies? Every year I try to watch at least a few to help get into the spirit of things. 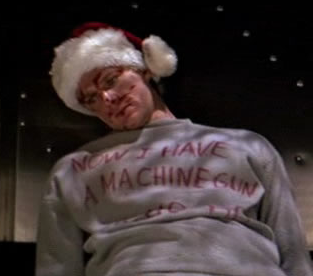 So grab your slippers, pour some eggnog, crank the carols, and just ignore all those pesky relatives (though not me, I get along well with mine), because here’s a list of great Christmas movies, other than It’s a Wonderful Life and Die Hard. What Christmas is all about. 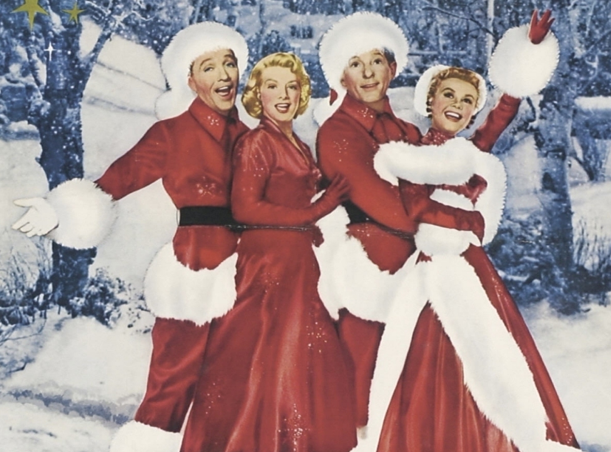 White Christmas (1954)—As I implied, I can be a bit of a scrooge from January to November, so fitting in line with that, I tend to hate musicals, with a few exceptions. White Christmas is one of those exceptions. Michael Curtiz’s musical is about a couple of WWII vets-turned-entertainment-superstars (Bing Crosby and Danny Kaye) just trying to take a Christmas vacation. They get tangled up with a couple of aspiring performers (Rosemary Clooney and Vera-Ellen), and wind up in a ski lodge in Vermont, run by their old army general (Dean Jagger). The boys reevaluate what’s important to them and try to pull off one of the nicest Christmas presents in film history for the General. This is a movie that happens to take place at Christmas time, but isn’t explicitly about Christmas (much like It’s a Wonderful Life and Die Hard). The seasonal themes of peace on earth and goodwill towards all appear only sub-textually. No one says, “This is what Christmas is all about.” Instead, that message is seen in the actions of the characters in a way that is just a lot more heartwarming than it could have been. The end product is not only one of my favorite musicals, but one of my favorite movies. I know certain [unnamed] people who would critique it as overly sentimental, but seriously, guys, it’s Christmas. Sentimentality is part of the game. 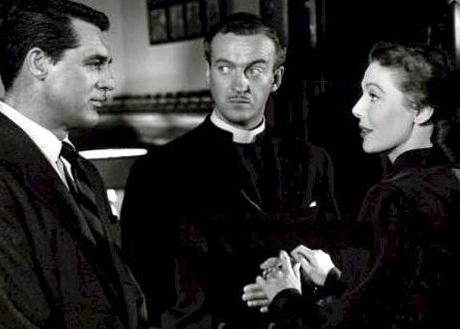 The Bishop’s Wife (1947)—Bishop Henry Brougham (David Niven) is, like all clergy members around this time of year, incredibly stressed out. He’s trying, unsuccessfully, to raise money for a new Cathedral, but is having trouble with the donors. Caught up in all the hubbub, he forgets what Christmas is all about and ends up shortchanging his wife (Loretta Young) and daughter (Karolyn Grimes). Bleak as things look for Henry as his family, things take a change when Dudley, an Angel (Cary Grant) appears to show everybody what’s really important again. David Niven is mighty suspicious of this holy embodiment of charm. Unlike White Christmas, the themes here are pretty explicit. After all, the movie is about an angel who comes to help a disaffected bishop rediscover the meaning of Christmas and family. Because of its subject matter, The Bishop’s Wife is a fairly religious movie, but not so much as to alienate non-Christians. It appeals to a wider audience for much the same reason that Christmas does as a holiday: specifics aside, it’s a universal message about charity and goodwill. Now, the setup might sound a little kitschy, and indeed, could easily have been so, but the film is directed with restraint, and it stars David Niven and Cary Grant. I can’t stress that enough. 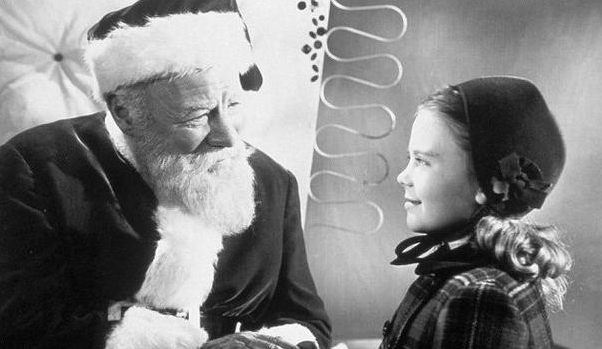 Miracle on 34th Street (1947)—A man who looks a lot like Santa Claus (Edmund Gwenn, who, incidentally, looks a lot like Santa Claus) gets a job at Macy’s as a Santa Claus look-alike. He also gets to be Santa in their Thanksgiving parade. Ok. He goes on to do other Santa-like things until eventually confessing to everyone that, in fact, he really is Santa Claus. As a result, he is institutionalized as insane. A lawyer (Fred Gailey), at the behest of a young mother (Maureen O’Hara) and her daughter (Natalie Wood), takes the issue to court to lawfully prove that they have the real Santa Claus on their hands. The thing that makes this movie so wonderful is that Edmund Gwenn, I’m pretty sure, actually is Santa Claus. The viewer never has any doubt as to the legitimacy of his claim because the man is actually, undeniably Santa Claus. As a side note, I’d like to point out that Gwenn won an Academy Award for his role in this film. Hollywood’s backin’ me up on this one. 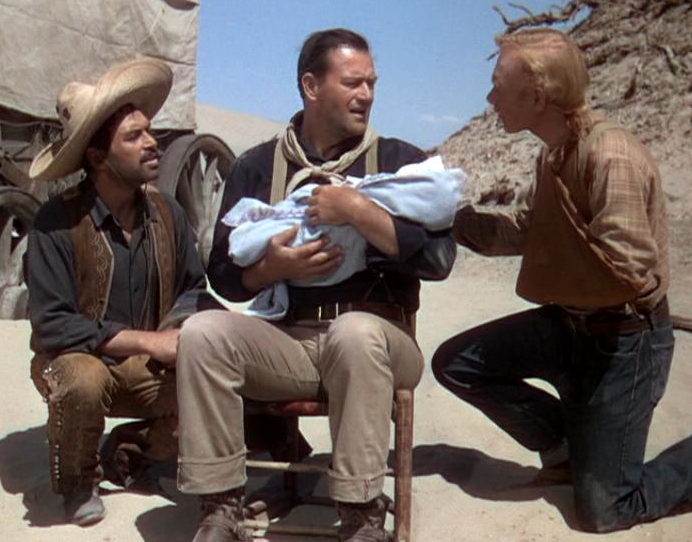 3 Godfathers (1948)—Three outlaws on the run in the old west, Robert (John Wayne), Pedro (Pedro Armendáriz), and William (Harry Carry Jr.) stumble upon a dying woman and her baby in the middle of nowhere. Though outlaws, these are decent guys, so they make the woman as comfortable as they can and, as she dies, swear to her that they will deliver her baby to safety, even if it means crossing a desert, fighting other bandits, and risking their own lives. The story unfolds as a parable for the Christmas story, the baby of course representing Jesus, and the three outlaws representing the three wise men. Now, of course, the three wise men did not watch the Virgin Mary die and then promise to deliver Baby Jesus to safety, but they did risk their lives to travel long-distance on a vague promise of inner solace and salvation. T.S. Eliot has a poem about it. This western (directed by the great John Ford) presents that same unwarranted sacrifice and that loose hope of prosperity that comes with Christmas. In many ways, that’s what Christmas is really about: it’s about the hope for a better world, both internal and external; it’s a prelude to personal sacrifice for the betterment of others; it’s the idea that once a year we can stop being scrooges and try to be better people. If you’re looking for a good movie to watch this Christmas, other than It’s a Wonderful Life and Die Hard, and you’ve lost your VHS copy of The Muppet Christmas Carol, then I would recommend one of these films. Merry Christmas, Happy New Year, and I hope your mother likes that spice rack you made her. ← Strange Bacon: The Ice Harvest; It may not be Canadian, but Canadians should love it. Excellent review and, of course, wonderful taste in movies, but what would I do with a spice rack?